Commito, Mike. "Pat Quinn". The Canadian Encyclopedia, 22 November 2017, Historica Canada. https://www.thecanadianencyclopedia.ca/en/article/pat-quinn. Accessed 18 April 2019. ​John Brian Patrick (Pat) Quinn, OC, OBC, hockey player, coach, manager (born 29 January 1943 in Hamilton, ON; died 23 November 2014 in Vancouver, BC). John Brian Patrick (Pat) Quinn, OC, OBC, hockey player, coach, manager (born 29 January 1943 in Hamilton, ON; died 23 November 2014 in Vancouver, BC). Quinn was a defenceman in the National Hockey League (NHL) and played for the Toronto Maple Leafs, Vancouver Canucks, and Atlanta Flames. He was also considered one of the best coaches of the NHL, winning two Jack Adams Awards and advancing two of his teams to the Stanley Cup Final. Quinn also coached Canada at the international level, winning gold at the 2002 Olympic Winter Games, the 2004 World Cup of Hockey, the 2008 International Ice Hockey Federation (IHHF) Under-18 tournament, and the 2009 World Juniors. John Brian Patrick Quinn was born to Jean (née Ireland) and John Ernest Quinn in Hamilton, Ontario, on 29 January 1943, the first of their five children. He grew up in a wartime house in Hamilton’s east end and attended St. Helen’s School and later, Cathedral High School. Quinn had a busy childhood, playing baseball, football and hockey when he could spare time from church, school and his part-time jobs delivering groceries and the Globe and Mail. At one point, Quinn decided he wanted to become a priest, but changed his mind after a summer at seminary school in Niagara Falls at the age of 13. Sports were too good to give up, even if he didn’t have any thoughts of playing professional hockey at the time. 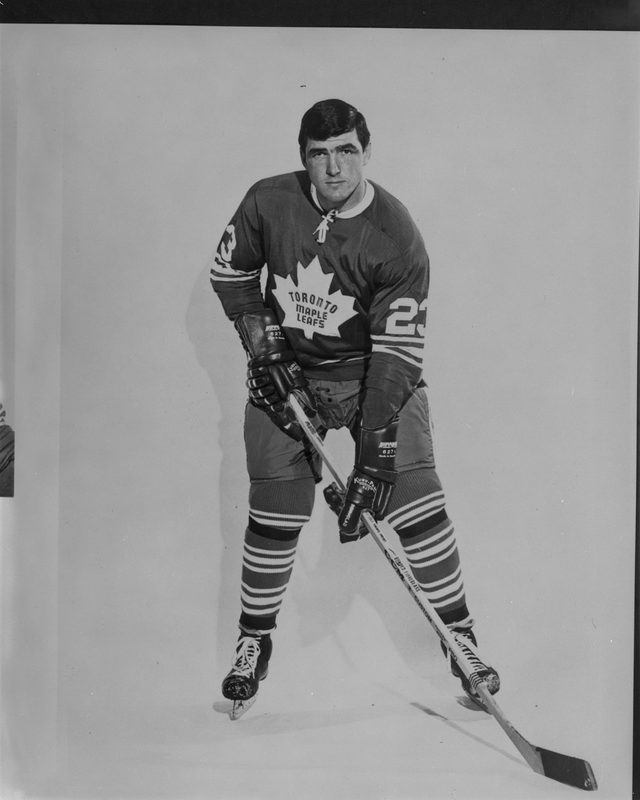 Pat Quinn played for his hometown junior team, the Hamilton Tiger Cubs of the Ontario Hockey Association, the farm team of the Detroit Red Wings. After graduating from Cathedral High School, he planned to attend Michigan Technological University on scholarship. However, he was unable to because the Detroit Red Wings owned his hockey rights and as a result, he was ineligible to play hockey in the National Collegiate Athletic Association. Instead, Quinn headed west and played with the Edmonton Oil Kings of the Central Alberta Hockey League, winning the Memorial Cup in 1963. 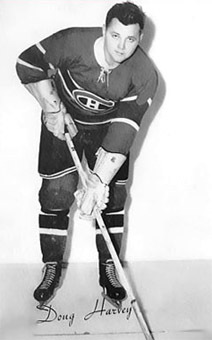 In 1964, Quinn began playing minor professional hockey for the Knoxville Knights in the Eastern Hockey League. He then spent several seasons in the Central Professional Hockey League and played for teams in Tulsa, Memphis and Houston. In the 1966–67 season he won the Western Hockey League’s Lester Patrick Cup as a member of the Seattle Totems. In 1970, Quinn was claimed by the Vancouver Canucks in the NHL expansion draft. After two seasons in Vancouver, he was selected in the 1972 expansion draft by the Atlanta Flames. His time with Atlanta was the most productive period of his playing career. In the 1973–74 season, he scored five goals and 27 assists, a personal best. Quinn’s career as a player was cut short by an ankle injury (which happened while riding his daughter’s skateboard). He retired following the 1976–77 season. In 606 regular season NHL games, he tallied 131 points (18 goals, 113 assists) and racked up 950 penalty minutes. Pat Quinn’s love of the game led him to coaching almost immediately after he retired as a player. In 1977, he joined the Philadelphia Flyers as an assistant coach under Fred Shero. The following season, Quinn was appointed as the head coach of the Maine Mariners, the Flyers’ minor-league affiliate. However, he only coached in Maine for half a season, replacing Flyers’ head coach, Bob McCammon, in late January 1979. The following year, his first full season as an NHL head coach, Quinn presided over the longest undefeated streak in league history. The Flyers went without a loss for 35 games (25 wins and 10 ties) from 14 October 1979 to 6 January 1980. In the playoffs, the team went to the Stanley Cup Finals but lost to the New York Islanders in six games. At the end of the season, Quinn won the Jack Adams Award, which is presented annually to the NHL’s best coach. In 1981, Quinn signed a five-year contract with Philadelphia, but the team’s poor performance in the second half of the 1981–82 season led management to release him in the second year of his deal. Quinn started coaching for the Los Angeles Kings in the 1984–85 season. His stint with the Kings was short and mired in controversy. While under contract with Los Angeles, Quinn signed on to become president and general manager of the Vancouver Canucks, accepting a $100,000 signing bonus. Although Quinn and the Canucks insisted this was done legally and in good faith, NHL President John Ziegler suspended Quinn for the rest of the season on 9 January 1987 and barred him from coaching until 1990. At the end of the 1986–87 season, Pat Quinn assumed his role as president and general manager (GM) of the Vancouver Canucks. During his tenure as GM and president, Quinn presided over some notable transactions, trading for future franchise goalie Kirk McLean and drafting Trevor Linden and Pavel Bure. Quinn resumed coaching for part of the 1990–91 season with the Canucks. The following year, he continued to coach in addition to his management duties, and won his second Jack Adams Award, making him one of only four individuals to win the Jack Adams with two different franchises. In the 1993–94 season, with Quinn behind the bench, the Canucks were the Western Conference champions but lost to the New York Rangers in the Stanley Cup Finals. Following the defeat, Quinn stepped down as coach to focus exclusively on management. Quinn returned to the bench in 1996 for six games, following the dismissal of head coach Rick Ley. However, on 4 November 1997, Quinn himself was fired by owner John McCaw, who had disagreed with him on several issues. Even after he left the Canucks, Quinn maintained strong ties to Vancouver. He and his wife kept a house in the city, and Quinn became a minority owner of the Vancouver Giants, a team in the Western Hockey League. In 2007, forty-four years after winning the Memorial Cup as a player, Quinn would win it again as part owner of the Giants. Quinn returned to coaching with the Toronto Maple Leafs in 1998. In his inaugural season he guided the team to a club record of 45 wins in the regular season and advanced the team to the Eastern Conference finals. Beginning 14 July 1999, Quinn also served as the team’s general manager, remaining in that position until 2003. Quinn’s Leafs made the playoffs six times and reached the Eastern Conference final twice. However, after failing to qualify for the playoffs in 2006, the Maple Leafs fired him. Three years later, Quinn returned to coaching in 2009 as bench boss for the Edmonton Oilers. However, even with Quinn’s wealth of hockey knowledge and expertise, he could not salvage the fledgling Oilers. The team finished the regular season with an abysmal record (27 wins, 47 regulation losses and eight overtime losses) and Quinn was dismissed in the off-season. 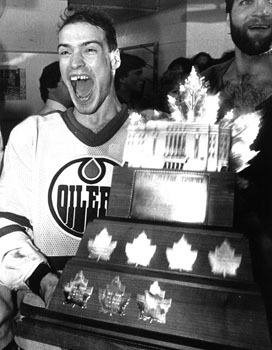 Quinn retired after Edmonton and finished his coaching career with a regular season record of 684 wins, 528 losses, 154 ties, and 34 overtime losses. As of March 2015, he ranked sixth in all-time wins as a coach. Pat Quinn also had considerable success coaching at the international level. At the 2002 Olympic Winter Games in Salt Lake City, he coached Canada’s men’s hockey team to its first gold medal in 50 years. Two years later, he was selected to coach Canada’s 2004 World Cup of Hockey team. The team went undefeated in the tournament en route to a gold medal. In 2006, Quinn coached Canada’s Spengler Cup team. Held annually in Davos, Switzerland, the Spengler Cup is the oldest professional hockey tournament in the world. Quinn steered his team to the finals but lost to the host club, HC Davos. Shortly after, Quinn was behind the bench at the 2006 Olympic Winter Games in Torino, Italy, in which Canada finished seventh. In 2008, Quinn was selected to coach Team Canada at the International Ice Hockey Federation’s (IIHF) U18 World Championship. The team went on to win gold, defeating Russia 8–0 in the final. Following his success with the U18 team, Hockey Canada tapped Quinn to lead the country’s team in the 2009 IIHF World Junior Championship. Canada beat Sweden 5–1 in the championship game, en route to its fifth consecutive gold medal. In 2006, Pat Quinn received an honorary doctorate from McMaster University. Six years later, in 2012, Quinn became an Officer of the Order of Canada. The following summer, he became chairman of the board of the Hockey Hall of Fame. He became a member of the Order of British Columbia in 2014. In 2015, Quinn was posthumously awarded the Order of Hockey in Canada and in 2016 he was inducted into the Hockey Hall of Fame. In Hamilton, Glennie Avenue (where Quinn grew up) was renamed in his honour, as was Parkdale Arena. Those of us who knew Pat were certainly blessed to have our lives intersect with his. He had a very high and impeccable standard of honesty and integrity and ethics…. a really well educated man, who could talk to you about anything … whether it was about religion or politics … or scotch or sports.